At this time of the year, you can see the Smoke from the field. 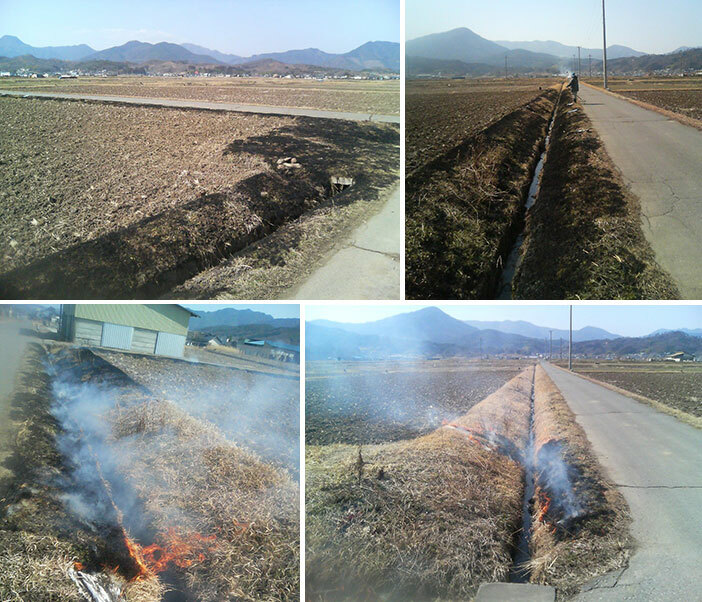 This is “noyaki” or to burn the dead grass in a field. We do this in order to kill unwanted grass and bugs. This was a very common custom in Japan. But, nowadays it hardly see it. If you see it, you are lucky.